All of SFHC’s activities focus on the end goals of improving child nutrition, equity, food security, and soil fertility, with an emphasis on community-based, participatory methods. We have intentionally integrated several activities to promote agricultural, nutritional and social practices, which differ from other agricultural programs. The following are key components of our approach and our activities. Seed Distribution: Each year, new farmers ask to join the project. Farmers are selected to join based on food security ranking (low food security households are selected first), interest and farming ability. Farmers are given seed on loan, with the expectation that they will contribute seed at the end of the season to grow the seed bank. 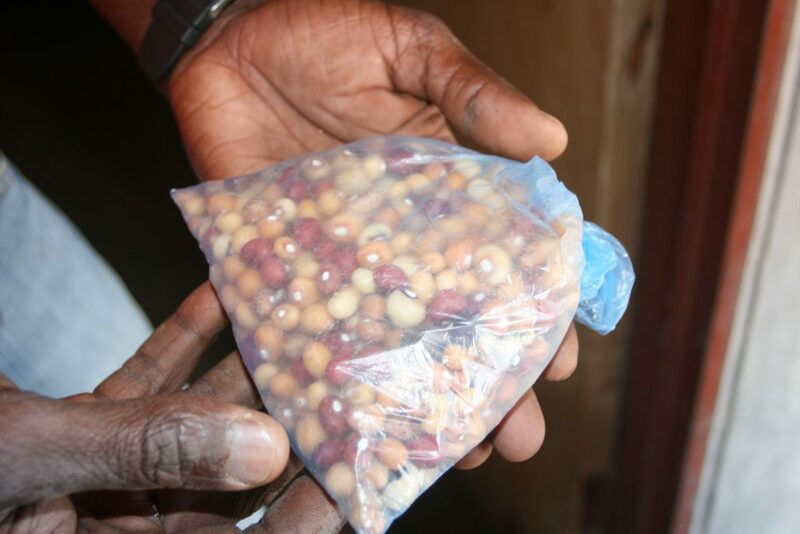 Legumes and Indigenous Crop Integration: SFHC emphasizes the importance of legume intensification for soil fertility, and also promotes the adoption of indigenous crop species such as finger millet and sorghum. New Participant Agroecological Training: The Farmer Research Team (FRT) provides training on legume plant spacing and crop residue incorporation to new member farmers. An average of 400 farmers have joined annually since 2000. Recipe Days – The FRT organize these days to promote and demonstrate a diversified diet with different nutritious recipes using the legumes from the project. 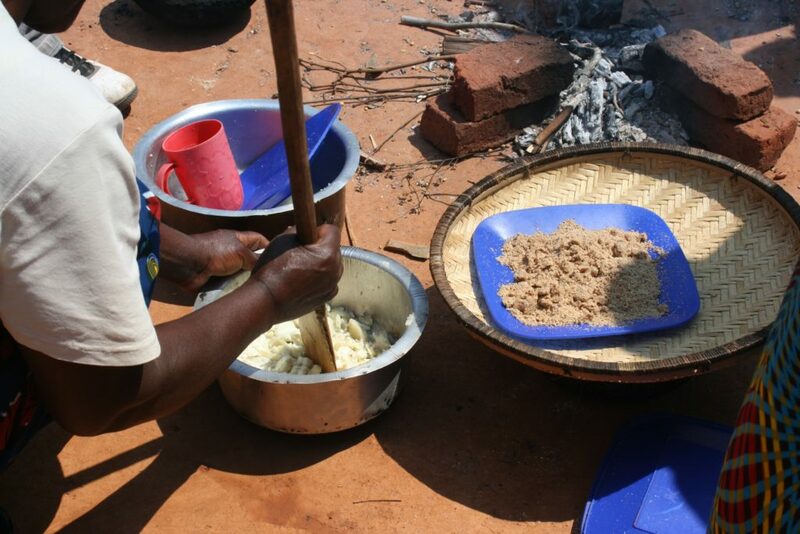 Villagers participate in cooking, learning about and eating different meals. These recipe days are held at different times of the year to highlight different issues, for example ‘hungry season recipe days’ and ‘harvest recipe days’. Recipe days are also used to promote male involvement in cooking and feeding young children. Field Days – Field days are an annual event in which participating SFHC farmers invite other farmers and farmer organizations, hospital staff, government, and media to visit selected fields and learn what crops and cropping methods they are using, followed by a gathering at a central point where there are speeches, dances, dramas, and food. A common theme raised by the farmers is the importance of ‘family cooperation’ in improving child nutrition, and the need for using these legumes for the benefit of the family. Farmer Exchange Visits – These visits were organized to encourage the farmers to learn from and share with each other. A small group of farmers is chosen from a village to go to another village in the region to learn about agriculture and nutrition topics of interest. Crop Residue Promotion Days – These days are organized once a year by the Farmer Research Team. FRT members perform demonstrations in various villages, in order to promote the burial of crop residues. Incorporation of legume crop residues will improve soil organic matter and soil fertility for future crops.